Photographer. Writer. Newlywed. Texas Transplant. I’m pretty sure this beanie will fit! Last week I crocheted a beanie WAY too small. I’m sure to get big smiles from my sweet niece in this cute crocheted beanie. 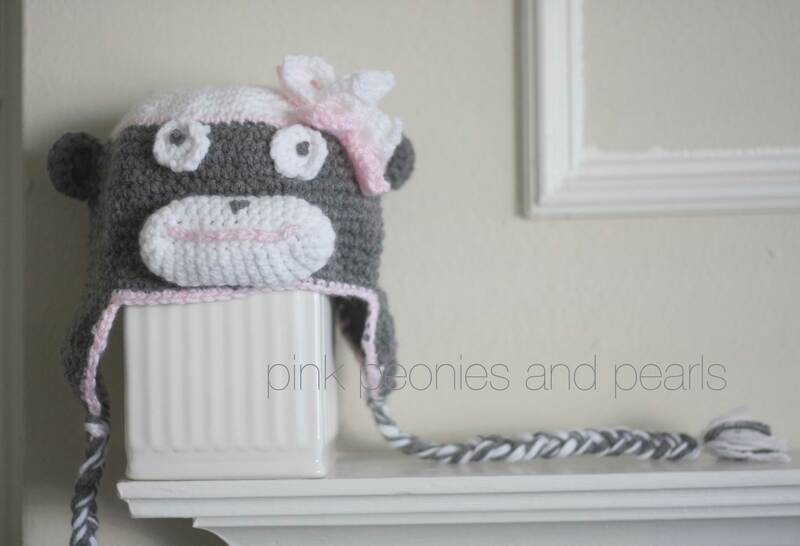 I found this free You Tube Video tutorial for a Girl Sock Monkey Beanie by Sabrina at Havoc Mayhem Creations. The pink and white flowers on top is from a separate video tutorial by Yolanda Soto Lopez. No more tears, gluten. You get no more tears!